South Wales is an incredible destination for your next camping holiday. Besides the stunning countryside, breathtaking coastline and lush hills and valleys, South Wales is also home to some of the country's most vibrant cultural hotspots, including the Welsh capital of Cardiff. So whether you are looking for a tents-only campsite in Pembrokeshire, a mountain retreat in the Brecon Beacons, or a fancy glamping spot in the Wye Valley, our guide to camping in South Wales has you covered. We're sure you'll find the campsite that's right for you in our extensive guide of camping and glamping recommendations. 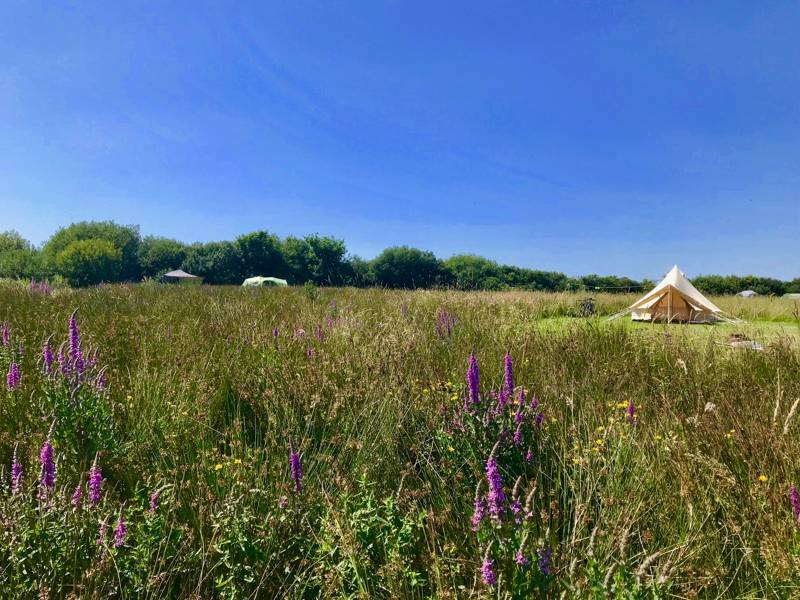 Whether it’s tent-only camping, campervanning or staying at a luxury glamping site, this collection of Carmarthenshire campsites is sure to inspire your next outdoor adventure. Chosen by the expert Cool Camping team, this guide includes waterside campsites, woodland campsite, dog-friendly campsites and much more, all available to book online with just the click of a button. Going camping in Monmouthshire? Discover the best campsites in the county with this special collection, including hillside campsites, woodland campsites, dog-friendly campsites, tent-only campsites and campsites where your campervan is welcome too – all chosen by the expert authors behind the award-winning Cool Camping guidebooks. 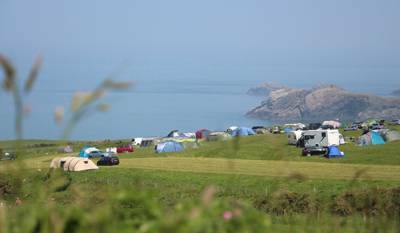 Looking for a Pembrokeshire campsite? Find the best ones here with recommendations from the expert authors behind the Cool Camping guidebooks, including seaside campsites, dog-friendly campsites, tent-only campsites and campsites where your campervan is welcome too. What could be more scenic than camping in the Vale of Glamorgan? With mountain view campsites, woodland sites, waterside camping and romantic spots to pitch up your tent, you’ll be hard pressed to choose a campsite. Going to the Gower camping? 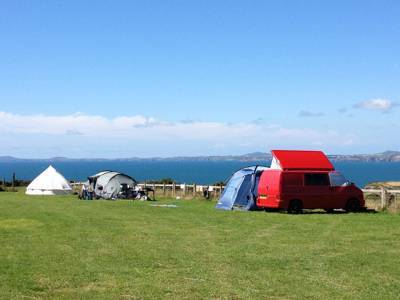 Find the best Gower campsites here, all chosen by the authors of the Cool Camping guidebooks. Including seaside campsites, dog-friendly campsites, luxury campsites, tent-only campsites and campsites where your campervan is welcome too, this diverse collection is sure to have something to suit your needs. If your going on holiday to the Gower then you’ve come to the right place! 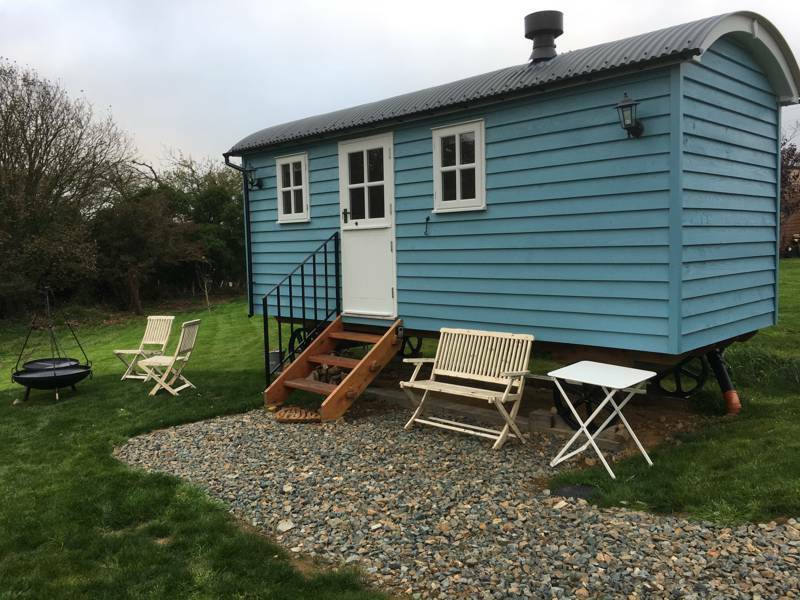 For any visitors planning a trip to Wales, the southern end of the country might not immediately spring to mind as a hotbed of prime camping and glamping locations. 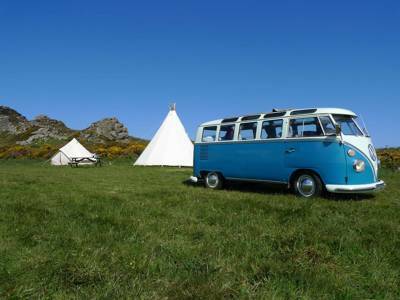 But, although once the country’s proud industrial heartland – home to the mines and steelworks of the South Wales Valleys and the bustling docks of Cardiff and Swansea –, the southern stretch of Wales can also boast some of the country’s most stunning settings for a night under canvas. South Wales, as a region, is pretty loosely defined and, like the rest of Wales, there is a lot of cross-categorisation between the various points of the compass. So while traditionally South Walians are regarded as people residing in the historic counties of Glamorgan and Monmouthshire, in a touristic sense the region spans as far west as the Pembrokeshire coast – taking in parts of Carmarthenshire, Powys and the foothills of the Brecon Beacons – all the way to the English-Welsh border in the east. With an expansive coastline, easy access from the major motorways (particularly the M4), and its close proximity to some of the country’s most popular tourist attractions, it should come as no surprise that South Wales is brimming with caravan-filled holiday parks. 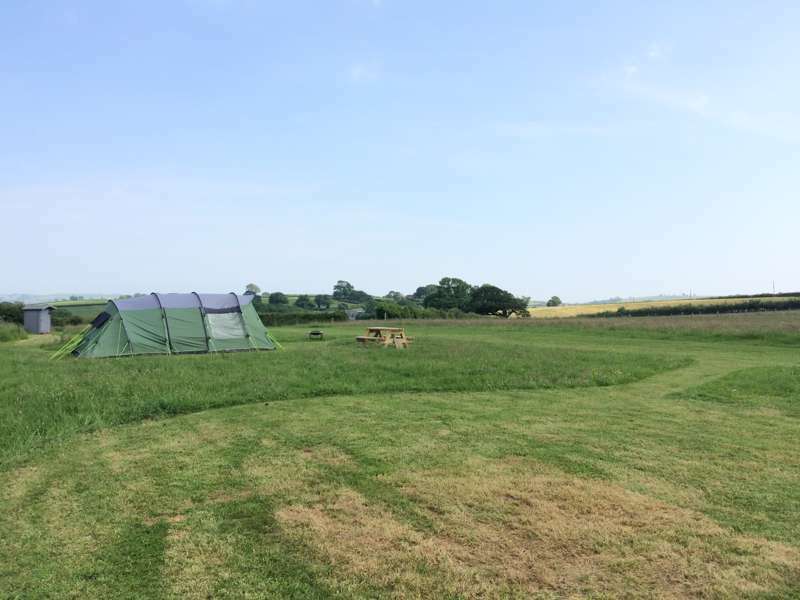 While there is a smattering of tent pitches at these places, the majority of pitches are hard-standings equipped for caravans and motorhomes and usually a sizeable number of chalets and static homes – in short, not proper camping to us! So our guide eschews these more commercial holiday parks in favour of traditional campsites that make for great tent camping, with the odd campervan-friendly campsite featured as well. Campfires are a must and we also like family-friendly spots that are good for kids, as well as dog-friendly campsites for your four-legged friend. 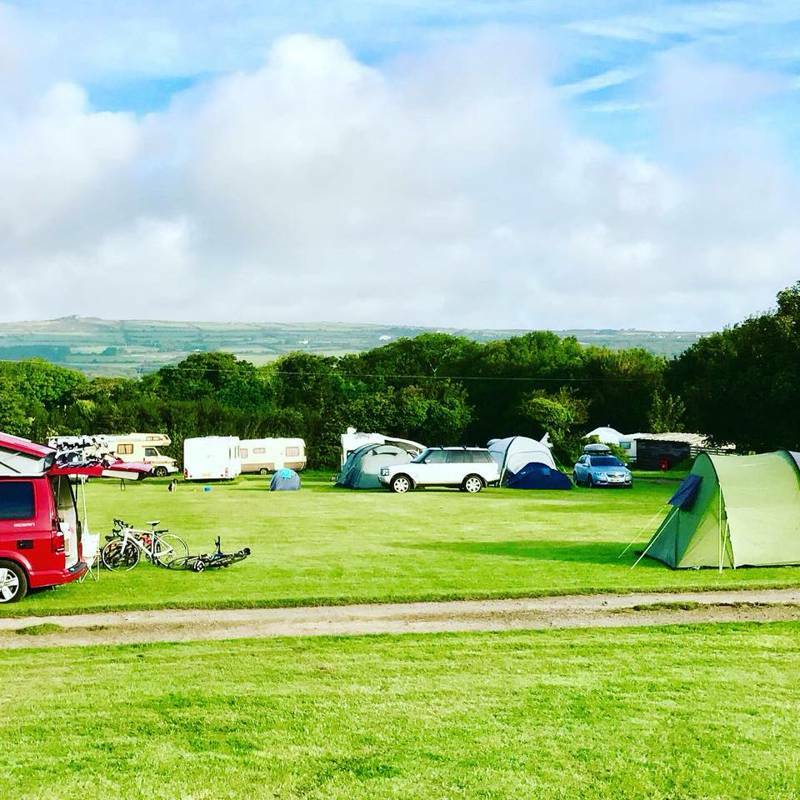 The sheer choice of campsites in South Wales can be a little overwhelming, which is why our guide allows you to filter out the pick of the places to find your dream destination for camping in South Wales. If a beach within reach is what you seek, we feature some stonking spots near Carmarthen Bay. Or if scenic walks are top of your list then try one of the camping options on the Glamorgan Heritage Coast. If outdoor adventure appeals, there are plenty of places in the Brecon Beacons that should fit the bill. Or for that most Instagrammable of settings, the campsites on the Gower Peninsula take some topping. Wherever you choose, rest assured the curated collection included in our guide are among the best campsites in South Wales. Wales and glamping go together like cockles and laver bread and South Wales is no exception. There are a rich and varied host of luxury abodes scattered across the southern stretch of Cymru, each offering a varying scale of opulence and convenience, with a price tag to match, it should be noted. It goes without saying that the high-end glamping accommodation (such as treehouses) will command a higher nightly rate than more humble abodes, while an ample array of basic bell tents with furnishings are easier on the purse strings. ‘Cheap’ glamping might not always be but ‘cheerful’ it most certainly is – our guide will help you find and book a site that suits your budget and bucket list. Besides additional features such as hot tubs, saunas and luxury hampers filled with local produce, many choose glamping in South Wales over camping for its weatherproof reliability. While camping will always be popular in this part of the world, the changeable nature of the Welsh weather can test the resolve of even the most seasoned of hardy campers. Cliff-top campsites overlooking St Bride’s Bay might promise panoramas few places can compete with, but the trade-off for these breathtaking views is exposure to the elements. So if the thought of chasing after your flailing tent in gale-force winds fills you with dread (as much as it might make other campers snigger), the sturdy reliability of a yurt, shepherds hut, or safari tent ensures peace of mind and a soak-free shelter for the night. And for those brave souls making their way by public transport, opting for a glamping upgrade will save you lugging your gear from train station to bus stop, up hills, over fields and across farm yards. Throughout South Wales, there are no shortage of glamping options. Glamping in Pembrokeshire promises yurts near some of the world’s most beautiful beaches while the affluent Wye Valley features several luxury camping sites, with glampers drawn to its tranquil landscape and the vibrant gastronomic scene of Monmouthshire. We’re confident we’ve compiled some of the best glampsites in South Wales. For our money, nothing brings a family together like a weekend away camping. A night under canvas in the Great Outdoors will soon have everyone re-connecting with nature. What’s more, there are few more effective ways to get the kids off the iPads and Playstations and see them building dens, playing games and breathing in bundles of fresh air. Working together to light the campfire or pitch the tent really galvanises the clan and kids love mucking in with the grown-ups jobs. Sunset at the campsite brings its own evening entertainment with stargazing, ghost stories around the campfire, and toasting marshmallows a gooey brown. 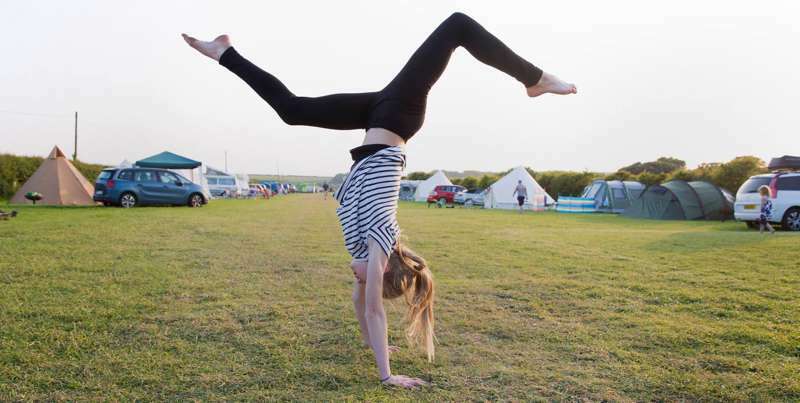 And whether you decide to pitch your own family-sized tent or treat yourself to a spacious glamping alternative, there are heaps of family-friendly campsites in South Wales to keep the whole brood happy. The bigger players of the UK holiday park scene may pull out all the stops to keep the nippers amused, with kids entertainers, costumed mascots, discos, and indoor play areas. But you won’t find any of these more commercial enterprises in our guide to camping in South Wales. Call us old-fashioned but we believe that a good few acres of grassy fields and a whole lot of imagination is all you need for fun and games on the campsite. That being said, plenty of the best family-friendly campsites provide added provisions for kids, with a children’s play area and usually a few pieces of apparatus such as football goals, volleyball nets, cricket, badminton, boules, rounders and other fun games for all the family. Games rooms are also common at the independent campsites we like to champion – albeit a more humble version than the sprawling day-glow video arcades found at the holiday parks – so you might even find a pool table, air-hockey, table tennis and ping pong at more than a few of our favourite South Wales campsites. Some campsites also feature a rainy-day room – a lifesaver when the weather hasn’t read the script – usually stacked full of board games and books so there’s no chance of rain stopping play on your South Wales camping holiday. 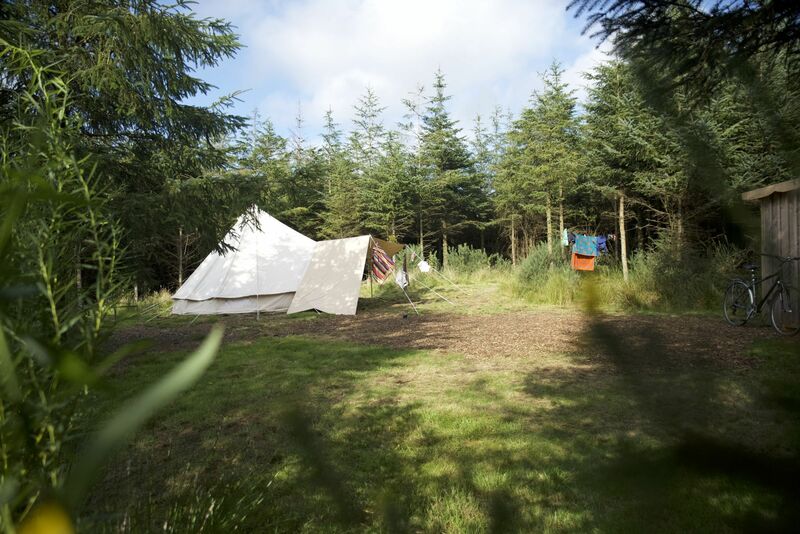 Bushcraft courses are more popular than ever and many campsites in South Wales host their own. Anyone who read Swallows and Amazons will know what a fantastic way a bushcraft course is for your weeny woodsmen to learn traditional outdoor skills like fire lighting, foraging and shelter building. Ensuring safety and comfort for all is a top priority for many of the best child-friendly campsites featured. As such, there are plenty of car-free campsites where vehicles are prohibited from the camping field, making the site a safe haven for kids to run ragged with their newly made friends or ride their bikes. Most campsites provide wheelbarrows so you can trundle your gear to camp. The best family-friendly campsites in South Wales are also well equipped for the smallest of children, with baby-changing facilities and travel cots for hire. Understandably, campsites with swimming pools in South Wales are not as common as they are at campsites in France, for example. But then who needs a swimming pool when some of the world's best beaches are close by? South Wales is chock full of amazing beaches, many with pristine seas to swim in, with Wales boasting a total of 47 Blue Flags and 83 Seaside Awards – more than any other stretch of UK coastline. Many of the South Wales beaches are manned by lifeguards throughout the summer and there are plenty of calmer stretches of coast like Tenby’s secluded cove or the sand dunes of Cefn Sidan in Carmarthenshire. When not building sandcastles or frolicking in the surf, children will love catching crabs and investigating the rockpools, before retiring with a bag of fish and chips or Welsh dairy ice-cream on the sand. Several seaside campsites in South Wales will even be happy to advise on boat excursions, like whale and dolphin watching trips or visits to Caldey Island. And if you’re camping further inland, ask your hosts about the best spots for wild-swimming or check-out some of the best waterside campsites. From Whitesands to the Wye Valley, our guide features the best campsites that are good for kids. For camping couples who prefer the peace and quiet of a kid-free campsite, there are plenty of adults-only camping and glamping options in South Wales. Away from the campsite, there’s a wealth of places to explore and activities to enjoy in South Wales. A day at the seaside tops most campers’ bucket (and spade) list. It feels like you’re never far from the seaside in Wales. Its diminutive size makes it easily explorable – Rhoose to Llanbadrig, (Wales’ own John O’Groats to Lands End comparison) is just five hours drive. And it is this dramatic coastline, coupled with its unique Celtic culture, that gives Wales an almost an island-like feel, albeit one buttressed by the hulk of England to its eastern flank. The 870-mile long Wales Coast Path is a regular rambling route for the scores of campers plotting up in Wales each year. Its southern section is one of the most picturesque parts of the path. And while the Pembrokeshire Coast Path has been extensively covered in our other guides, the treasures of the Glamorgan Heritage Coast Path are just as lovely. Stretching 14 miles from Aberthaw to Portcawl, this lesser-known sweep of stunning cliffs and hidden coves is peppered by bohemian beach towns like surfer-settlement Llantwit Major. The edge of the world views and sense of remoteness belies the fact that campsites on the Glamorgan Heritage Coast are just down the road from the buzzing Welsh capital, Cardiff. A charming, handsome city with a vibrant rejuvenated waterfront in Cardiff Bay, Cardiff boasts a captivating mix of history and hedonism. Heritage attractions like Cardiff Castle and St Fagans National Museum of History are essential visiting, so too are architectural gems like the many Victorian arcades, Cardiff Market and Llandaff Cathedral, while that other great place of worship, the Principality Stadium, presides over the entire city. Grab a ticket for match-day if you can to witness the Welsh rugby team in action – even for the uninitiated the atmosphere when the home crowd raise their voices for a soaring rendition of Hen Wlad Fy Nhadau is truly phenomenal. By choosing one of the campsites near Cardiff, you can experience the beauty of the coast and countryside, while still experiencing the delights of the big(ish) city. Likewise, camping near Swansea means an away-day on the Dylan Thomas Trail in this most lively of student towns. That’s if you can tear yourself away from the award-winning Blue Flag beaches of Swansea Bay, Mumbles and The Gower. Rhossilli Bay regularly tops the UK’s best beach round-ups, while the sands at Horton, Oxwich Bay and the quieter Three Cliffs Bay are just as inviting – so don’t forget to pack your beach towels before you zip up your tent. Surfers should seek out Caswell Bay or Llangennith on the far west of the Gower Peninsula. And you don’t need to visit Swansea city to get your Dylan fix. Further west in Carmarthen, Laugharne is a charming estuary village the great man once called home. Pay your respects at the iconic writing shed at the Dylan Thomas Boathouse museum and savour the stunning seascape that inspired some of his greatest works. Further inland, there are a whole host of campsites in the Wye Valley. Less seasoned campers will be pleased to know that glamping in the Wye Valley is also plentiful, from woodland treehouses to a quirkily-converted luxury horsebox. A designated Area of Outstanding Natural Beauty, the Wye Valley is one of the UK’s most captivating regions. Besides a multitude of outdoor pursuits such as hiking the Black Mountains and canoeing down the River Wye, campers should be sure to make the pilgrimage to the iconic Tintern Abbey to see what so entranced the Romantic poets. This side of Offa’s Dyke is also peppered with castles, with the imposing riverside fortress of Chepstow Castle in Monmouthshire one of the better preserved Norman relics. So whether you visit these popular tourist hotspots during your camping holiday or opt for more off-piste adventures (like foodie mecca Abergavenny in the Usk Valley or walking the Vale of Neath, the UK’s ‘waterfall country’ home to Aberdulais Falls and the 80ft high Melincourt Waterfall) there’s no end to things to see and do in South Wales. Campsites in South Wales at Campsites in South Wales, Why not check out South Wales for your next camping trip? With campsites ranging from beachside spots and remote campsites to woodland camping and scenic spots to pitch your tent, you’re sure to find a campsite for you.